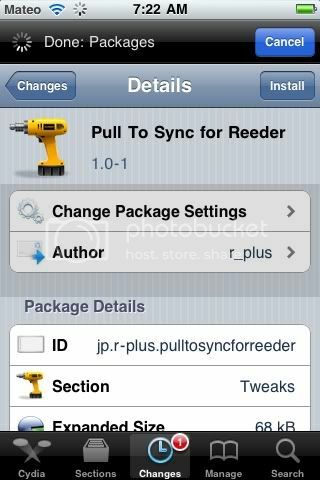 New tweak in Cydia, Pull to Sync for Reeder, adds a pull to sync/read feature to Reeder. By pulling your scrolling view down past the top bar, you can reveal a trigger for refreshing like seen in some popular apps. No new icons are added onto your homescreen. You can configure options by using the settings.app. Free on Cydia. Search for it.